Dumbo is one of my favorite movies and I’m so excited to see that they have released 2 new Dumbo charms in conjunction with the release of the live action movie on March 29th. The original movie just moves me to tears so I’m a little hesitant to see the live action film. However, I’ve heard great reviews about it so that has caused me to be a little more excited to head to the theater to see it. Hopefully it will live up to the hype and with the cast of actors in this film, I’m sure will make it very entertaining and enjoyable. The Dumb & Mrs. Jumbo charm is just to the left of the Dumbo charm. Mrs. Jumbo is wearing her pink hat and cuddling Dumbo. 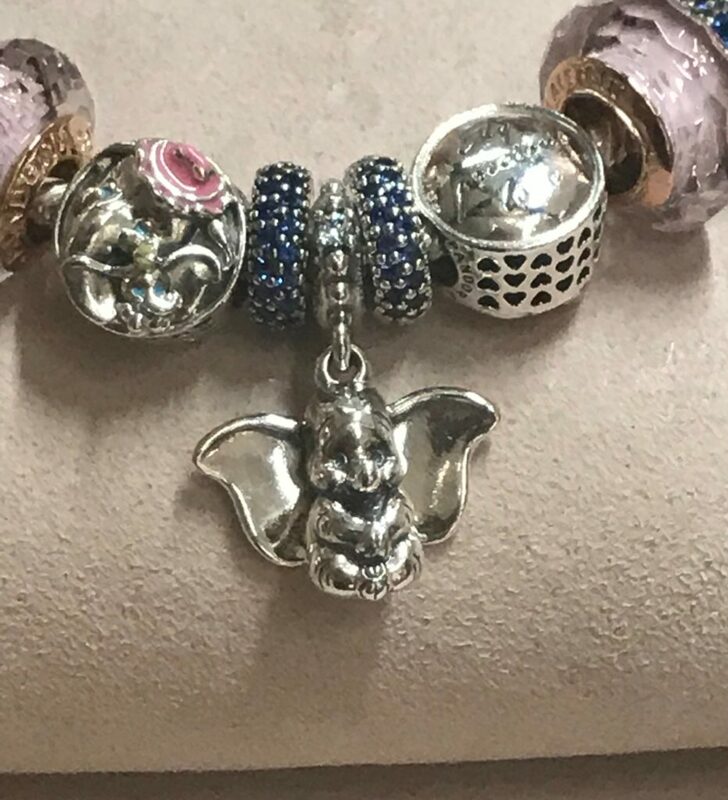 These would be a beautiful addition to any Pandora bracelet and with Mother’s Day right around the corner, possibly the perfect gift for your Mom. 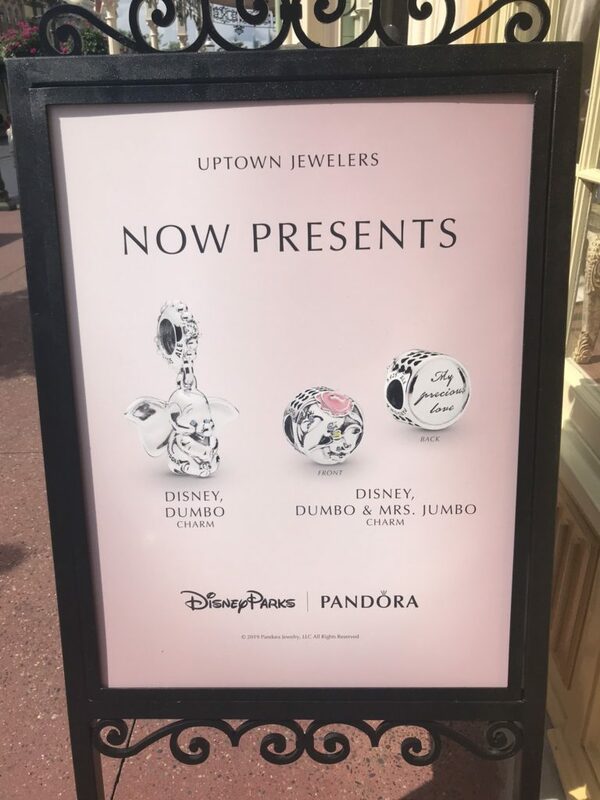 Uptown Jewelers is the place to head when looking for Pandora charms. They have the newest releases and the largest selection of Pandora charms in the parks. Happy shopping.